The Las Vegas Magic Theatre. Last night we attended the press night for ‘The Las Vegas Magic Theatre’ at the Gold Coast Hotel. It was a nicely organized event that showcased producer Paul Stone’s idea for a new multi-night revolving cast magic show. Given the current state of business in Vegas it is a very bold endeavor to attempt this kind of show in a local’s casino and I wish him really well with his future goals. The showroom began it’s life at the Gold Coast as a slightly too large Cowboy Dancehall and has been adjusted for various events since, most notably that perennially great little gem ‘Forever Plaid.’ The room is now split in two by a large curtain, which allows for close-up magic to be performed from 6.00-7.00pm before the audience enter the ‘showroom’ section and sit to watch the show. The format is old fashioned in its plan and execution, but that isn’t always a bad thing with magic. The feeling is very much that of an evening in the Magic Castle without the decor and ambiance that the Castle provides. We didn’t get to watch much of the pre-show close up magic, hey—this was a press event with excellent free food and drink! However, I caught all the main show. Paul’s son Ben Stone who had the charm and energy to really keep the show together very nicely hosted it. He also displayed a fine singing voice that added some nice texture to the proceedings. He performed a great duet with the lovely Jasmine Trias from the ‘The Society of Seven.’ This segment should have been highlighted a little more rather than the manner in which it was interjected into headliner Murray’s show. Ben also performed some good-natured comedy magic during a set in the show. The set was a little to long and could have used some tightening and shortening to increase the effectiveness of the evening. Less is so often more with an MC and Ben’s singing talents were quite enough to establish his credentials and ability to anchor the show. 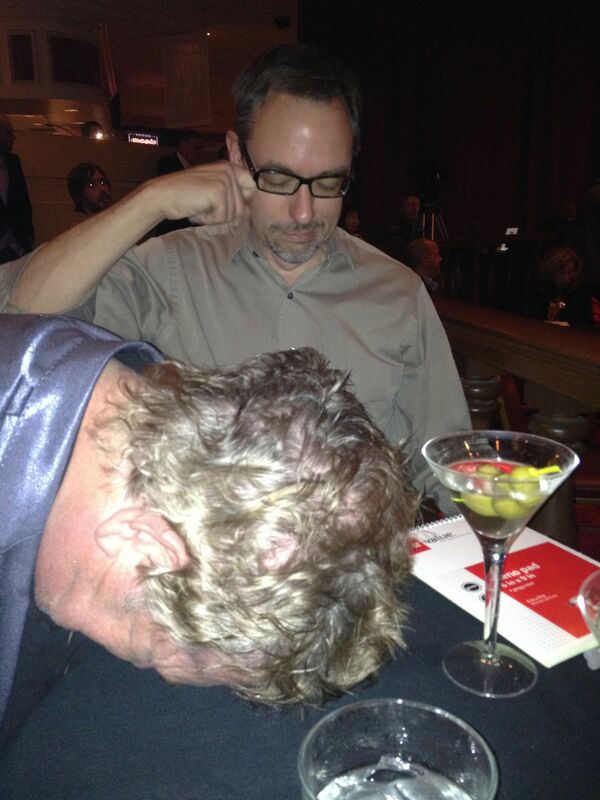 Opening the bill was comedy magician Adam Flowers and dove act Michael Douglas. They were both fairly standard and would have made good performers for a Castle brunch show, however they didn’t really cover any new ground or re-explore/redefine old territory to add to the proceedings. There were a couple too many opening acts! Stealing the show (as almost always happens in an all magic bill!) was the non-magician, in this case the comedy and juggling of Michael Goudeau. Michael was a riot and smoothly took his show from one big laugh to another. 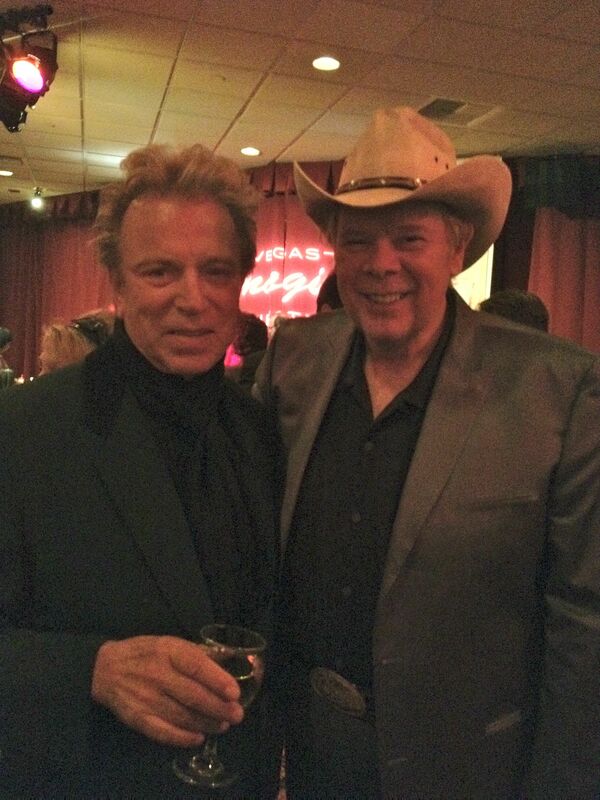 Michael was the featured act in Lance Burton’s show at the Monte Carlo and his smooth performance re-establishes how smart Lance was in his choice. Assisting Goudeau was the very funny Tommie Laing, who was also very familiar to those of us who had seen Lance’s show. Goodeau really kicked the show into high gear and up a couple of notches! 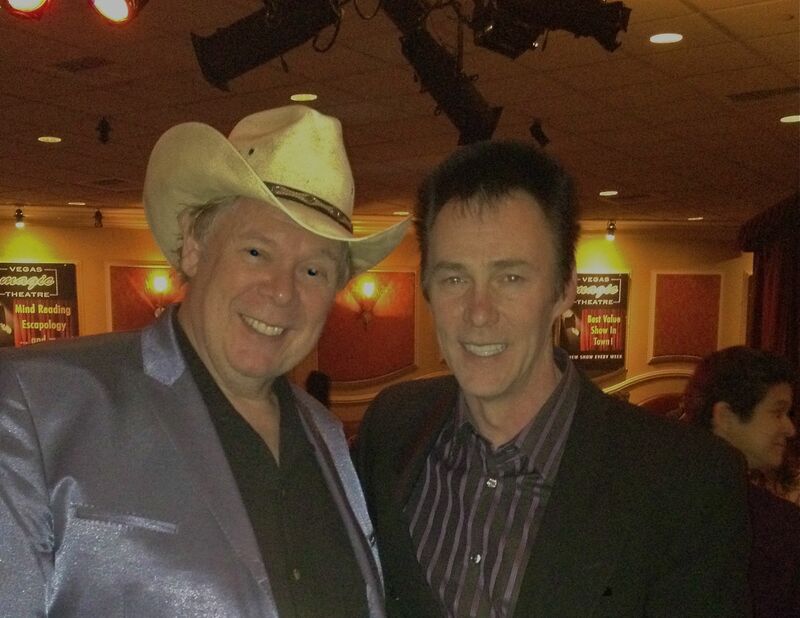 We were sitting with old friend Mike Weatherford the variety reviewer for the Las Vegas Revue Journal. Mike’s immediate response to Goudeau was to wonder how long it had been since Lance (who was in the audience) had actually seen Michael perform his show! Later discussion with Lance indicated it had been about 20 years! Mike and I also just looked at each other when Ben Stone produced two sponge balls and simultaneously said, “I wonder how Jan is doing?” a spontaneous reference to the widow of long term Vegas magician Steve Dacri. We miss you Steve. The headliner of the show was Murray (Sawchuck) who performed a very strong set. Murray has charm, style and a quirky ‘daffy’ personality that is the launching pad for an act that combines low key and funny comedy bits with a very strong and slick set of illusions. He is an excellent performer with an instant appeal to any audience. I thoroughly enjoyed his very accomplished performance and could have used a little longer watching him work. The evening was a very pleasant experience but the real test is as to whether this format will work in a local casino. The real magic (as in every Vegas showroom) is going to be to fill those seats on a weekly/nightly basis. The basic idea and execution of the evening are very reminiscent of a mainstream version of Jeff McBride’s ‘Wonderground.’ You might even refer to it as ‘Overground,’ but part of the flare that sets ‘Wonderground’ apart is that it is a monthly event which really establishes it as an ‘event’ on the scene. A multi-night weekly format is a lot tougher to remain a viable contender. However if there is a producer with the drive to make this work (and also the key ability to coax to vital ‘guest’ performances from local magicians) then Paul Stone is the chap to do it. Good luck, go get ’em Paul. Incidentally, the photo (‘I’m magic’d out!’) of me and Mike Weatherford that accompanies this blog entry is POSED! We really weren’t drunk or exhausted. Well only very slightly………..
~ by Nick Lewin on January 6, 2012.